But this year? 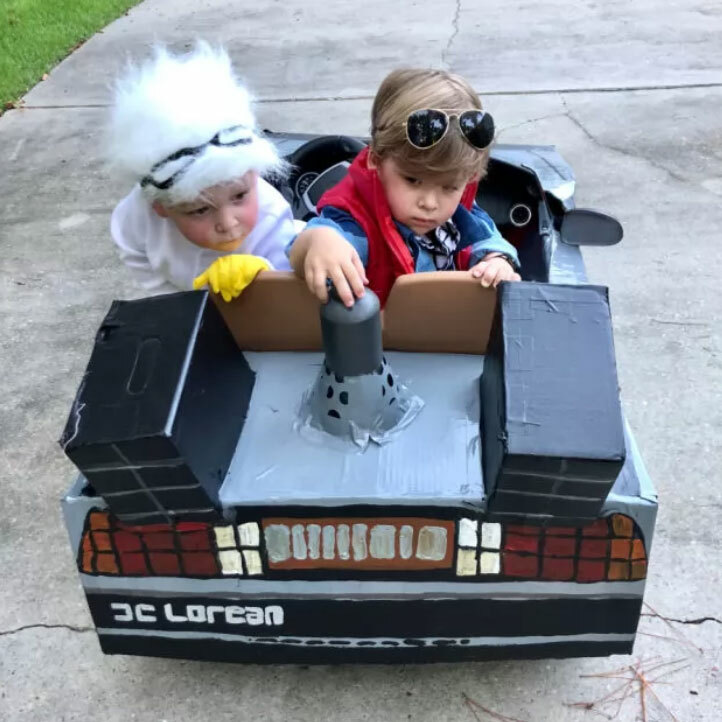 Willis spent hours coming up with another throwback-themed costume that millennial parents everywhere can appreciate: Back to the Future! 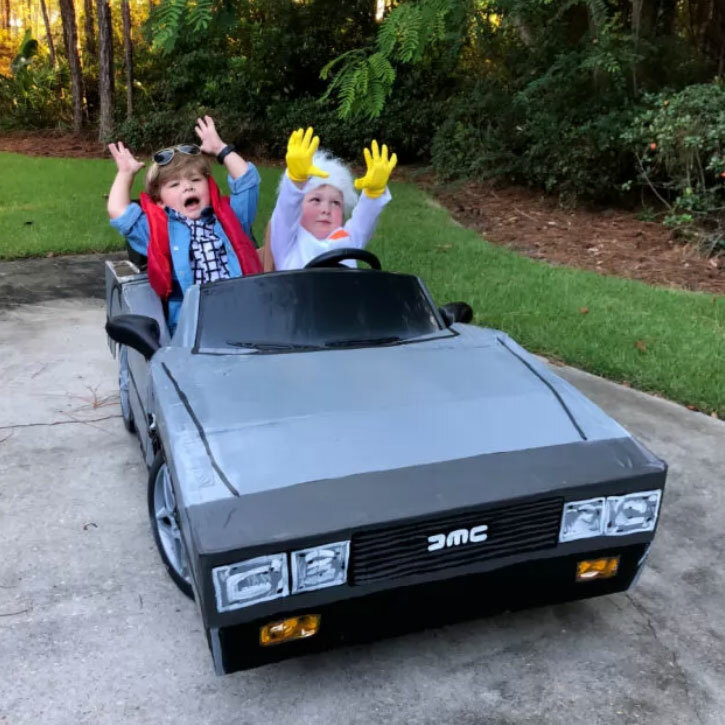 Dressed as Doc and Marty McFly from the 1985 Spielberg classic, Charlie and Row are once again killing the Halloween game this year, thanks to a few early photos their mom released on Instagram. 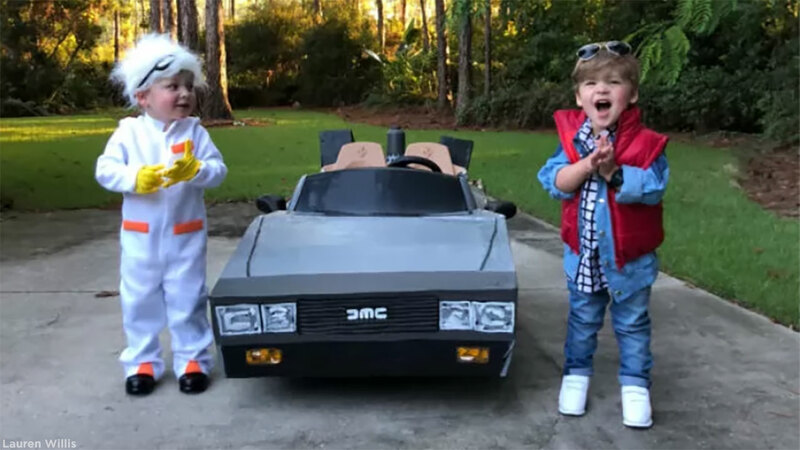 Willis says that apart from those sweet Nike kicks her son is wearing, it cost her less than $100 to create the costumes - and that's including the mini DeLorean, which took her six hours to construct herself. "I am an artist and love a creative project," says Willis, "so I loved every minute!" 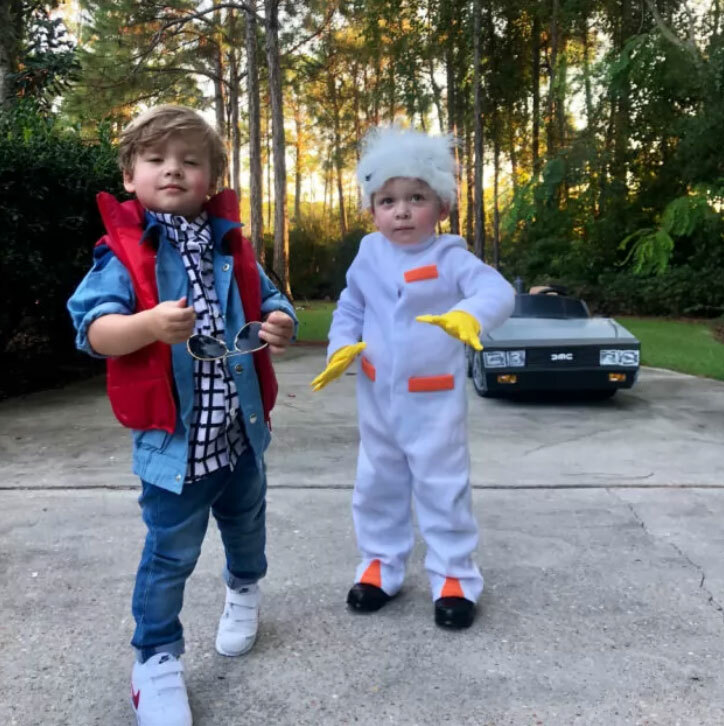 Despite being just shy of 3, and only having seen a few clips from Back to the Future so far, both boys had a blast channeling their iconic '80s characters. "They love their accessories best," says Willis, of the watches, glasses, and goggles each boy got to wear. 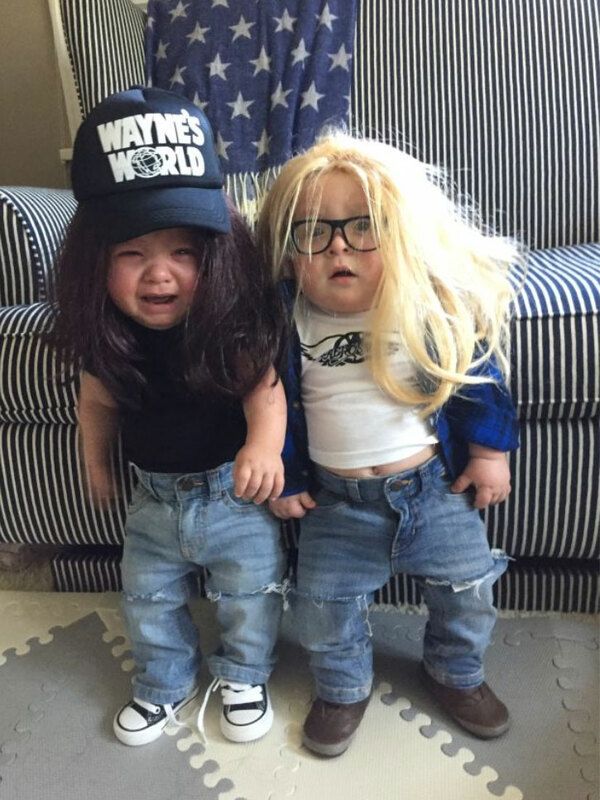 "They had a ton of fun taking pictures and love to put their costume on at home." 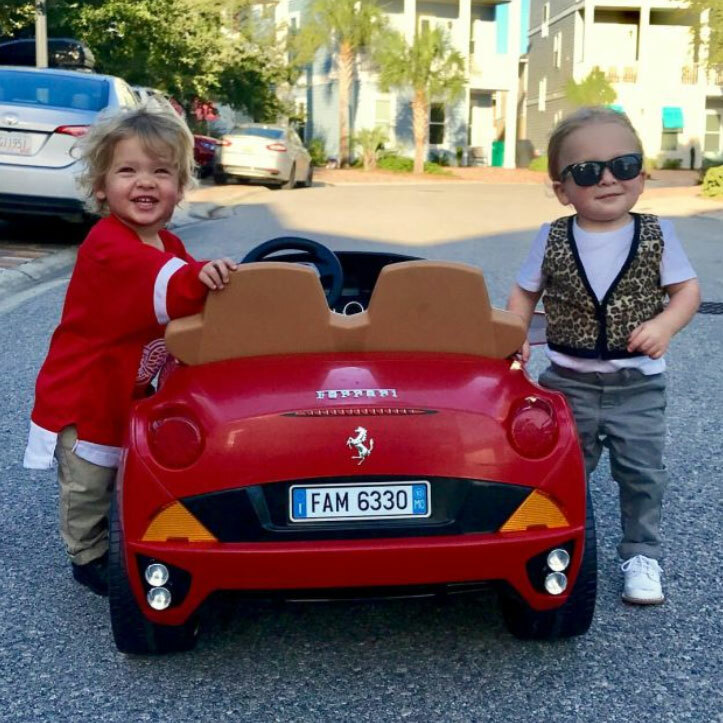 It's no surprise that friends and family are also loving the costume - and clearly, so are we. 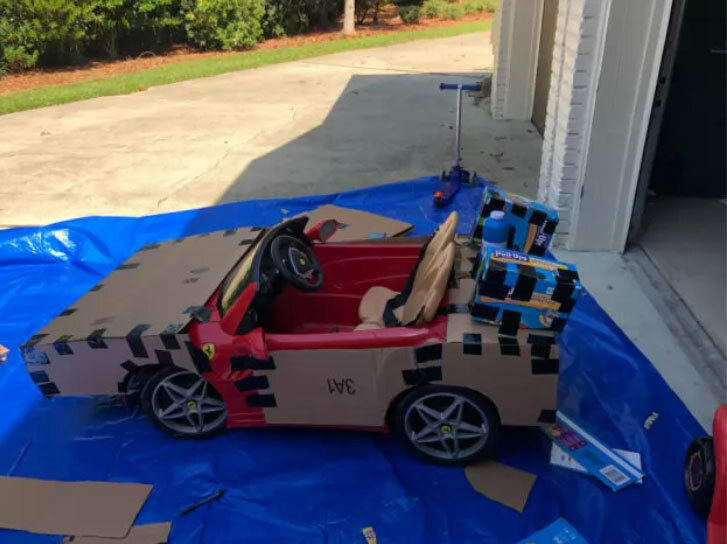 But that's all part of the fun for this creative mom, who seems to become more and more inspired as time goes on. "I just love doing these costumes every year," says Willis. 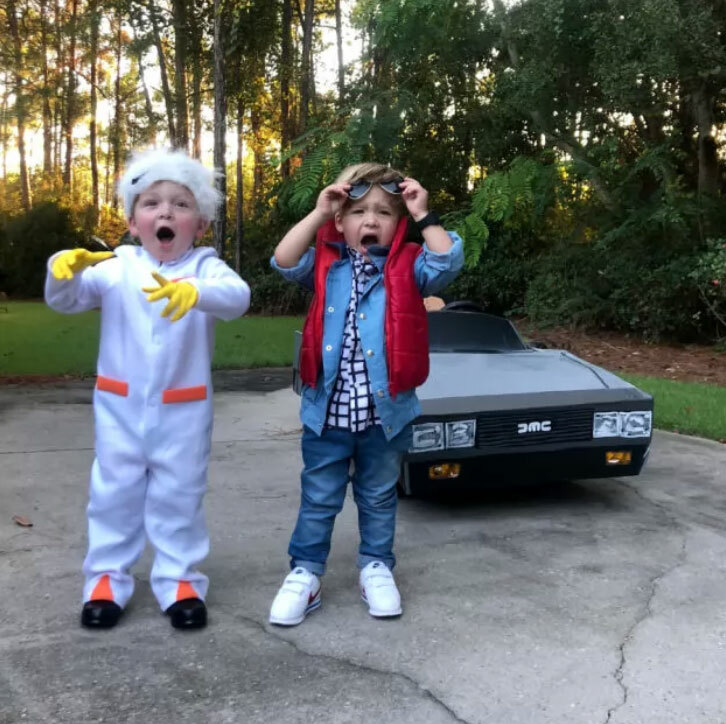 "I think it will be so great to one day have a wall of Halloween costume photos in my house - (what) great memories to look back on." With photos like these, that's going to be one awesome photo wall.